This week we launched our latest work for Government department UK Trade and Investment. 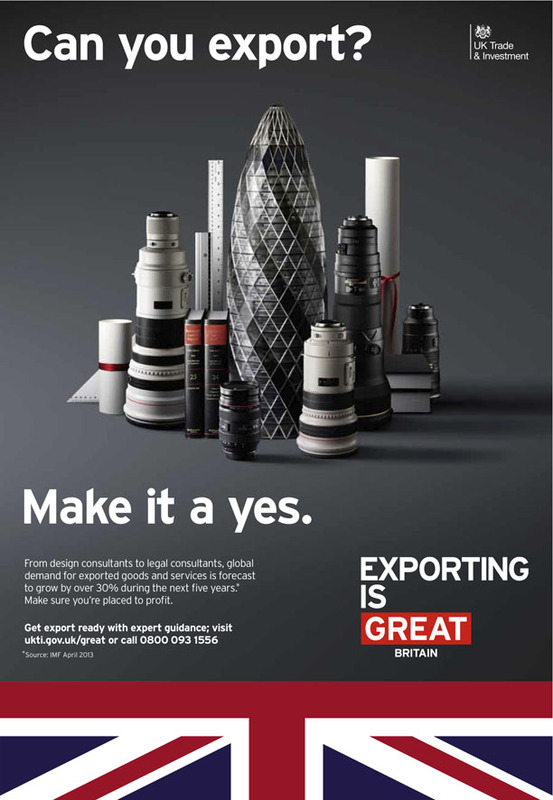 To encourage more UK businesses to see exporting their goods and services as a way to grow and develop their business we've presented iconic images from a range of industries from architecture to retail, legal services and engineering. The two executions feature a beautiful, bright Aspinal of London handbag surrounded by tough industrial cogs and a mock up of a London skyline featuring the Gherkin, camera lenses and Halsbury's Law books. 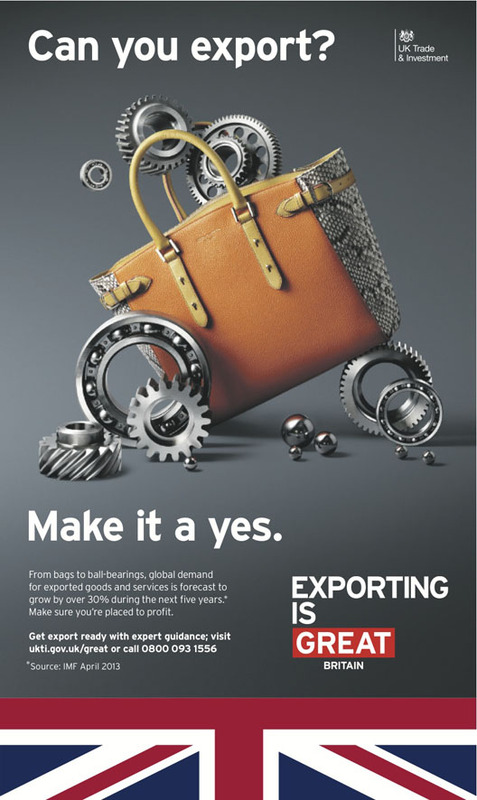 These represent some of the businesses that are already exporting successfully, with the help and guidance of UKTI. The campaign will roll out in national, regional and sector-specific press, as well as outdoor, online and through direct mail.